The mission of the Tour de Troit, Inc., is to promote and encourage health & wellness through running & bicycling. We do this through education, public events, collaboration with community and government organizations and support for non-motorized infrastructure. 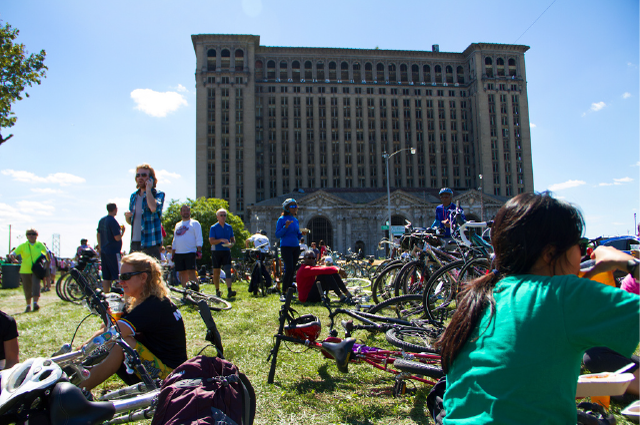 The Tour de Troit, the city’s largest cycling event, raises awareness of biking as a mode of transportation and publicizes the growing greenways network in the City of Detroit and all of Southeastern Michigan. Tour de Troit, Inc. also produces and supports other events that promote a healthy lifestyle and city, including the Martin Luther King, Jr. Memorial Bike Ride, Rouge-A-thlon, PaczKi Run, Bike the Bridge, and the Tour d'Eastside. Tour de Troit has raised over $360,000 towards supporting non-motorized infrastructure since 2005, including the Southwest Detroit Greenlink; the Green Taskforce; Park improvements in Hamtramck; and the implementation of a standardized wayfinding system for the City of Detroit. The organization was honored by the League of Michigan Bicyclists with their 2014 & 2017 Community Support for Bicycling Award for our efforts in this realm.